2016 Reissue - Classic Album! 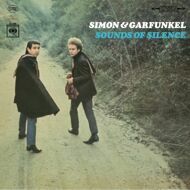 Sounds of Silence is the second studio album by Simon & Garfunkel, originally released in 1966. The album's title is a slight modification of the title of the duo's first major hit, "The Sound of Silence". The song had earlier been released in an acoustic version on the album Wednesday Morning, 3 A.M., and later on the soundtrack to the movie The Graduate. Without the knowledge of Paul Simon or Art Garfunkel, electric guitars, bass and drums were overdubbed by Columbia Records staff producer Tom Wilson. This new version was released as a single in September 1965, and opens the album.